The High Line, a park located in New York City, is a beautiful place to visit where you can admire trees and flowers inside a concrete-heavy city. While it is doubtful for a small patch of soil in between two concrete slabs to catch your attention, Maryanne Stubs knows better. Stubs is an NYC gardener and naturalist, and she knows that beneath her feet, there are many fat and fuzzy bumblebees and other wild bees that are busying themselves for spring. Despite what many may think, urban bees do not call Brooklyn beehives their home—they live in the park where the artificial greenery is the best choice for a bee. From mason, to leaf-cutter, to carpenter, several types of bees call urban cities their home. Wild bees are crucial to our ecosystem as urban pollinators while honeybees are suffering from pesticides, diseases, and other factors. Some studies claim wild bees are more abundant and diverse in cities than in natural areas thanks to urban gardens. They can even be more effective pollinators. However, the importance of beekeeping is overshadowing efforts to protect native wild bees, and many researchers think it is more important to have diversity in species than honey production. “Saying you’re going to conserve bees generally by keeping honeybees is kind of like saying, ‘I want to support bird conservation, so I’m going to keep chickens in my backyard,’” says Kevin Matteson, a pollination biologist at Miami University of Ohio. At least 80 percent of wild plant species depend on pollination to survive. For food crops, honeybees have long been the popular choice for large-scale pollination because they’re easy to manage; lots of them can live in a compact, portable hive that can be placed in the middle of a field. Wild bees aren’t that dependable, and many species live alone or in small groups, but they also aren’t dying out like their honey-producing cousins. Although honeybees have been the focus of national attention — and anxiety — because of their ubiquity as pollinators, wild bees are more efficient at pollinating most flowering plants. They require fewer visits per flower to achieve the same pollination, according to a 2013 study. 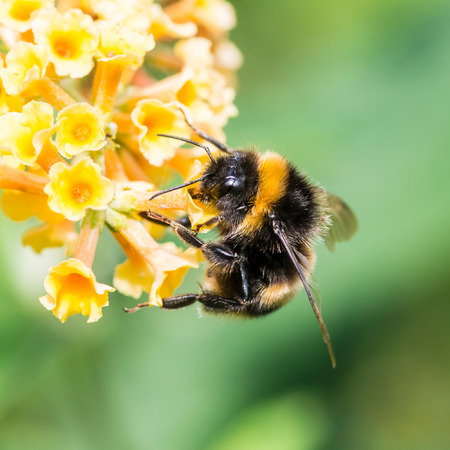 Planting flowers and leaving open soil are simple, effective ways to help bees, says Tim Leslie, who studies human impacts on insects at Long Island University. It’s important to focus on planting bee-friendly flowers in bloom that last from spring to fall. Continuous blooms ensure the bees have food all season.